We offer standard drain cleaning starting as low as $79. Clean-out and hydro-jetting start at $250. A free video inspection is offered with a clean-out with hydro-jetting purchase. 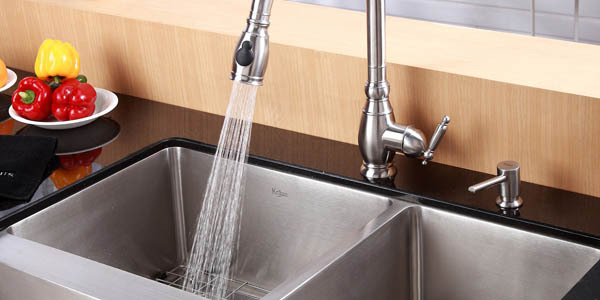 Whether it’s in your bathroom or your kitchen, a clogged drain is never a fun situation. As the most common problem that we come across, you can trust that when you call Complete Plumbing & Rooter to help you with your drain cleaning, we’ll provide you with a quick and effective solution to get your drains back to normal. Repairing and cleaning your drains the right way. While it may seem easier to take care of the cleaning yourself, without the proper tools and techniques, you are only masking the bigger situation at hand. Providing you with superior assistance in every part of your home, Complete Plumbing & Rooter goes above and beyond to ensure that your drains are cleaned and maintained in the proper way. Working with Complete Plumbing & Rooter, we take an in-depth look at what is causing your drain problems, thoroughly cleaning out your drain, preventing any further problems, and leaving you with a system that works the way it is supposed to. Taking care of clogged sinks, backed-up tubs and toilets, and more, our full range of plumbing services leaves you with a complete solution no matter what your drain issue may be. As your trusted and recommended local plumbers, it is our goal to provide you not only with the assistance you need, but the high-quality care that you deserve. Leave your drain problems with us. Cleaning and repairs start as low as $89. Call and schedule your plumbing service today and receive a free video inspection with a hydro-jetting purchase.